A conservatory is often a space in the home where people enjoy unwinding and relaxing after a long day in the office or on weekends. 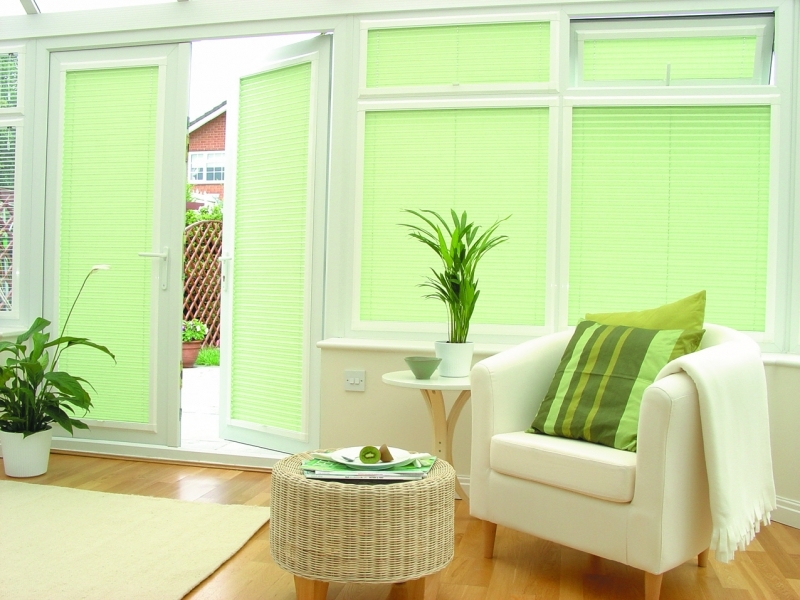 However, in some cases this room can be too hot, cold or bright and this when conservatory blinds work very well. It offers you with control over temperature and light, making the time you spend in your conservatory a lot better. 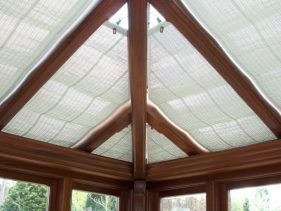 Conservatory blinds provide exceptional control. These blinds offer a way to control the amount of light that you allow in. You can also retain the heat in the room by completely closing the blinds. 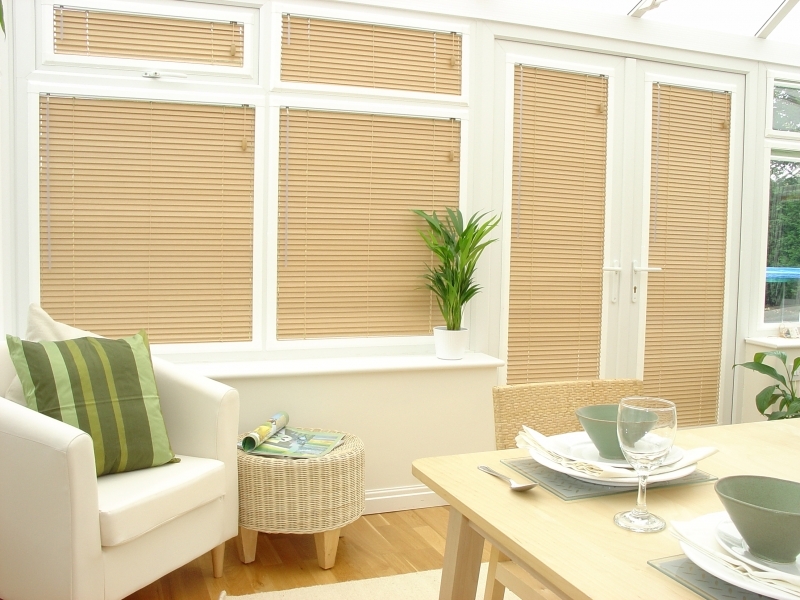 Conservatory blinds offer maximum control with a combination of stylish and modern window covering. A conservatory often offers fantastic views of the surrounding landscapes and your garden, yet in some instances you would like this space to offer you with a bit more privacy. Conservatory blinds offers you with varying levels of privacy as you are able to decide how far you would like them opened, or you can shut them completely if that is what you desire. Over and above the durability and functionality of conservatory blinds, you can also select the type of style that matches up to décor of the room and your personal taste. There are a number of patterns and colors to choose from which also includes woods and fabrics. The wood options offer a more natural appeal, while certain fabrics can create a relaxed or formal appearance. 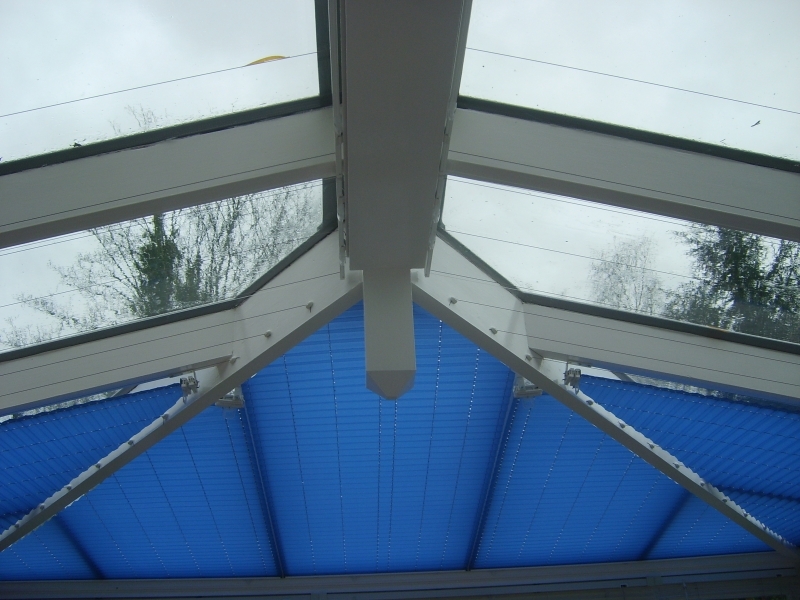 Conservatory blinds are versatile and offer a suitable environment in the way of providing the coverage you need when the weather is cold or hot. You can even choose from solar-reflective blinds which keep the heat in during the winter months and keep the room cool during the months of summer. There is even remote-control options, that offer the ultimate convenience in window coverings. The roof blinds seem to be one of the more popular options to achieve shading benefits while still leaving the room open to all the views. The bespoke natures of the orangeries and Vale conservatories will mean that the blinds need to be hand-crafted according to the individual specifications, where they will be fitted precisely. 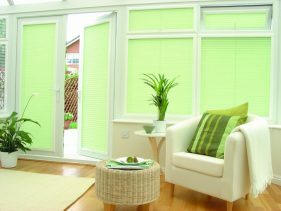 These blinds offer a solution for the windows which experience direct sunlight and when privacy happens to be an issue. Similar to curtains, blinds often contribute additional comfort to interiors of the conservatory along with outstanding aesthetic appeal. Pinoleum blinds are constructed from natural fabrics which blend seamlessly with the majority of tastes and styles. These blinds are also available in various colors that can harmonize with the inside area of your conservatory. These blinds are also extremely lightweight, which means they require very little support wiring. 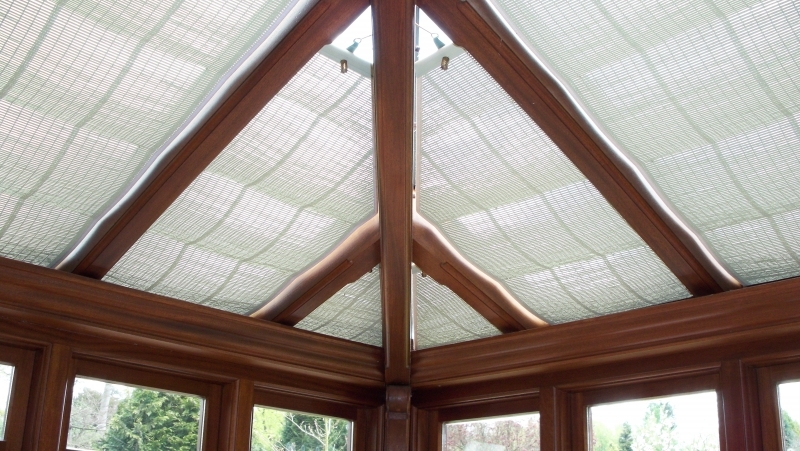 Conservatory blinds are either electrically or manually operated. With the manual operation, blinds are lowered or raised with a cord or a pole for areas that are more difficult to reach. All went very well. Our small garden presented quite a challenge to them, but they did an excellent job. Many thanks, we're very pleased with the result. Thank you and your team so much for this installation. You have done an amazing job. We were very pleased with the canopy and would recommend your company and the installers who were excellent. We have had some very complimentary comments from people who have seen the finished article. Sbi made the whole experience very straight-forward from selecting the veranda and Sbi advising you with their years of technical expertise on verandas, we had no problems,John the fitter had over 20 years of experience.Very happy with end result, great professional service and we will be using sbi again in the future. Contact us today for a free no-obligation quote on our products.